did you get that crappy pic I sent you??? I know it wasn't very good, but if you go outside and start looking at it, you'll realize how easy it is. The seats fit into the 2 bumps in the back and barely move without being braced. With those 2 peices of flatbar you should def be good to go. yeah i got them thanks btw... i gotta lay down my sound deadener first its just been to cold lately. Here's another set up if you still want to see. Opps forgot to mention, this is the Nitrous Express NXL universal progressive kit. Installing takes some gromments not include in the NX kit. A stock motor can handle a 100hp shot if set up correctly. How long it can handle it would be debatable. If you are new to nitrous, start out small. Deffinately start out wet but with a 50-75hp single fogger system. if helen keller fell in the woods would anyone hear her? And that's it. You just can't see it. Holy crap of a sleeper, batman!!!! You got a serious sleeper!!! 13.3 looking like that outta suprise the crap out of just about anyone!!!!!!!!!!!!!! You have anything done to the internals? Lesson learned = Dont ream out a .040dia nozzle to .054dia nozzle.....on a dry kit......with no other upgrades....on a completly stock motor.....that has 110,000 miles on it. Your bottle are mounted wrong, man, just thought you'd like to know. Supposed to be label up, valve forward. It DOES matter. Yes you can smell the sulfur out the exhaust.....i miss that smell. i dont want this thred to die! i wanna see more eco set ups! damn it...now u guys have me wanting to slap a kit on my Eco! I wanna say it looks like a direct port. It's a direct port kit, once armed it works off a WOT switch. On the NX webpage it would be the NXL direct port kit with the Gen X II kit added. Waaa! waaaaa! Spray spray i win you lose ,Buy American! 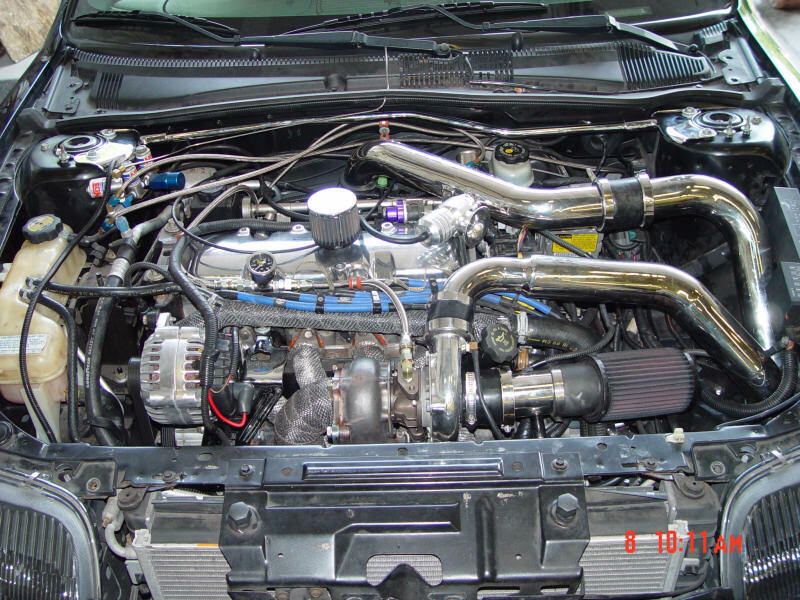 its not hard to do it yourself, if you are doubtful, then try getting a manifold from a junkyard or in the classifieds. which line on my fuel rail do i tap on my 2.2ohv and the best way to do it?